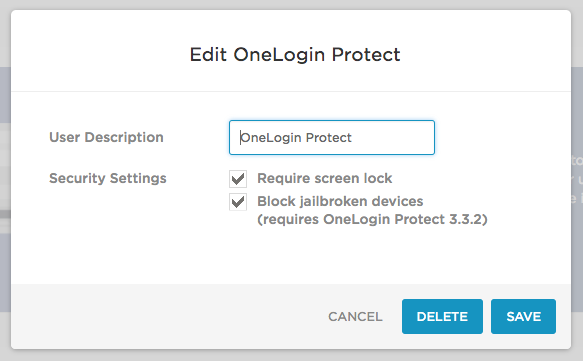 OneLogin Protect (formerly OTP) 3.3 provides administrators with the option to require that users secure their iPhones and iPads by enabling the Passcode feature (or Passcode + Touch ID). Find the OneLogin OTP app in your app list. 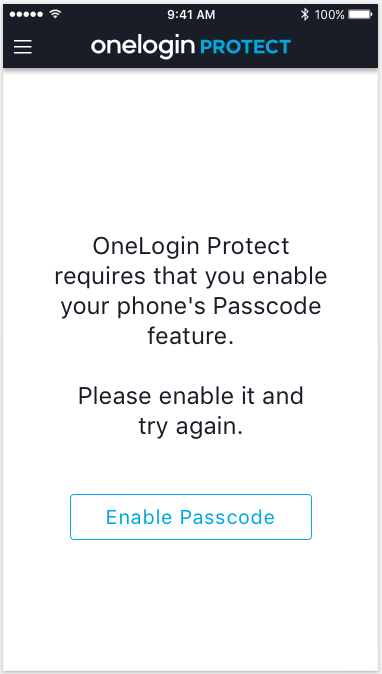 To enable the Passcode requirement, go to Settings > Authentication, select OneLogin Protect from your existing factors or click New Auth Factor to add it, and select Require screen lock when you configure OneLogin Protect.